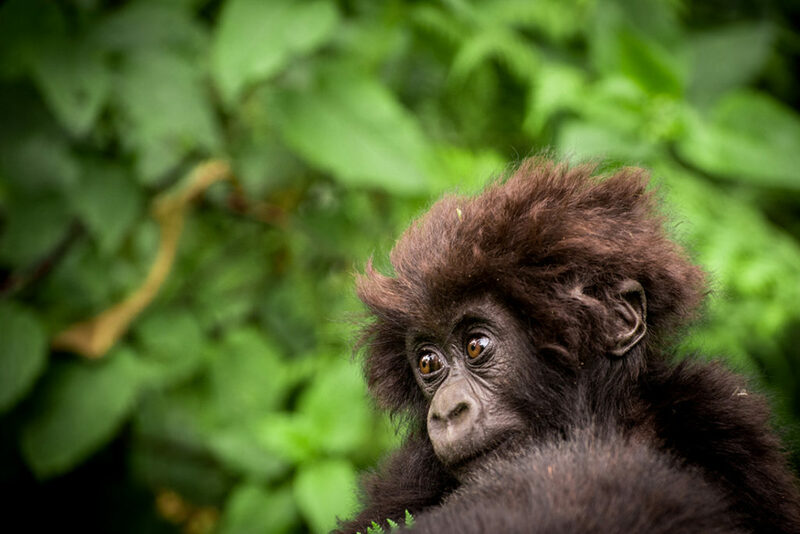 Wilderness Safaris, which operates Bisate Lodge near Volcanoes National Park in Rwanda, has announced a reforestation project to plant trees around the park near the lodge, on a site jointly selected with the Fossey Fund. 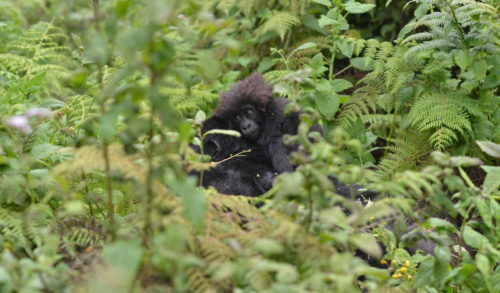 In honor of the Fossey Fund’s work, the project area will be called the “Karisoke Forest,” and will be planted with appropriate species on a 1,400-square-meter hillock. 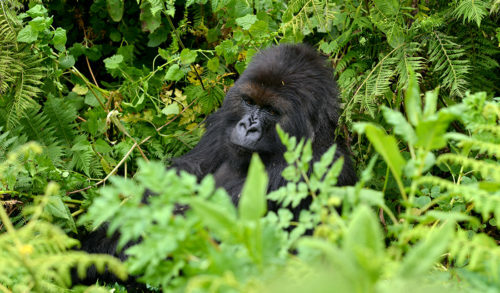 Mountain gorillas in Rwanda live inside the protected park, a unique mountainous habitat that contains numerous trees and plants found only in this area, as well as many others that the gorillas depend on for their daily diet. 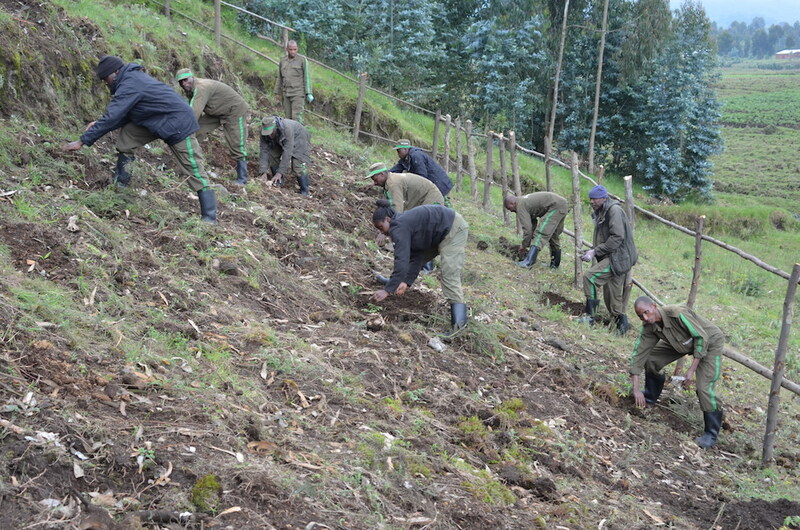 Outside the park, however, the land is surrounded by human communities and agriculture, which have reduced much of the original forest cover. 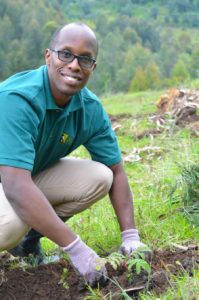 “During 2017 and the first half of 2018 we planted nearly 20,000 indigenous trees adjacent to the park on a 42-hectare piece of land,” says Chris Roche, chief marketing officer of Wilderness Safaris. 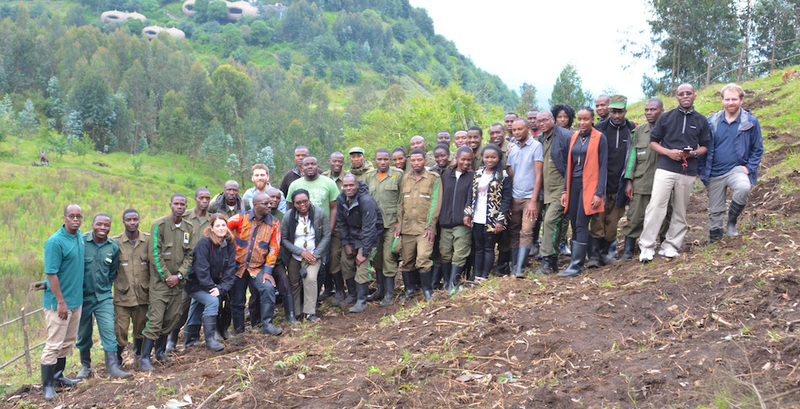 And in May, 130 Fossey Fund staff at Karisoke participated in this reforestation project, by planting young Hagenia trees, after the land was cleared of non-native eucalyptus trees and other invasives, and prepared with natural fertilizer. 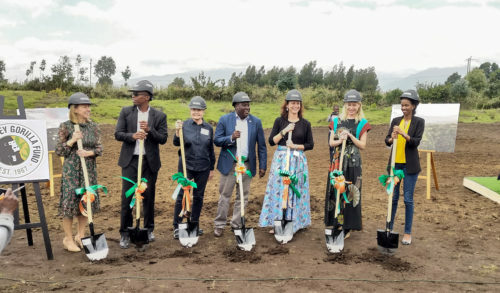 “Karisoke is honored to be part of this reforestation effort,” says Felix Ndagijimana, director of Karisoke and the Fossey Fund’s Rwanda programs. 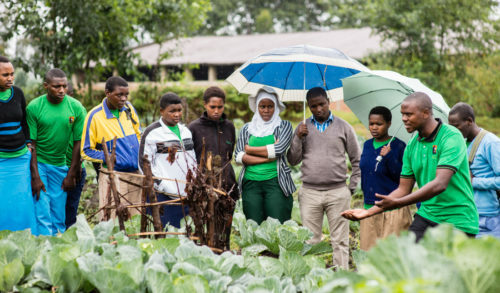 “It is important not only for ecological reasons, but also for the larger impact on the Bisate community. 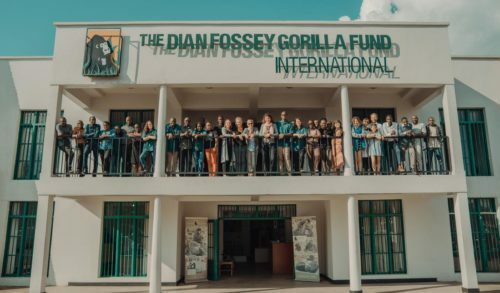 Bisate holds a special place in the Fossey Fund’s 50-plus years of mountain gorilla conservation and the ‘Karisoke Forest’ will be a great complement to our work both inside and outside the park,” he adds. 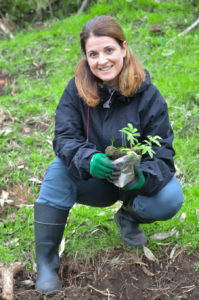 “This type of reforestation helps biodiversity greatly, providing additional habitat for birds, invertebrates, small mammals and pollinators that once lived on this land, helping to restore important forest habitat that has been reduced over the years,” says Dr. Tara Stoinski, president and CEO/chief scientific officer of the Fossey Fund.